Insoles are often needed for deformities and orthopaedic conditions of the feet, such as calcaneal spur and hallux valgus, to relieve pain and correct deformities. 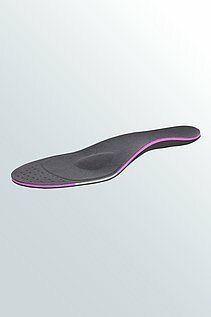 The igli insoles from medi are individually adjustable and can be used for many indications. 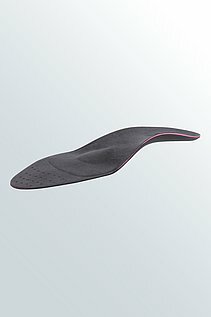 Insoles can also be useful for sports such as skiing, jogging, golf or football: they improve power transmission and boost the results of successful training. 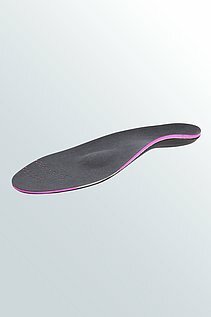 Orthopaedic insoles can ease pain, correct deformities in the long term and activate the muscles of the feet. 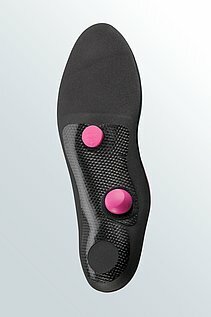 Firstly, this means that they are more comfortable to wear and secondly that foot problems such as hallux rigidus or calcaneal spur receive the best possible care. 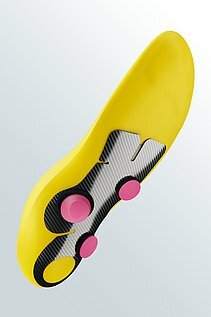 Special orthopaedic insoles have even been developed for a number of sporting activities such as skiing, golf or football, in order to improve power transmission and optimise certain sequences of movements. This improves the success of training even further and ensures a more rapid regeneration. 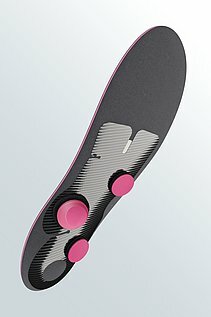 Whenever insoles are to be worn for medical and/or sports reasons, medi offers the right insoles from the igli carbon insole range. Wearers of office footwear are catered for as well: because they are so thin, the orthopaedic insoles can also be worn in fashionable shoes and high heels – so they don't cramp your style in day to day life. 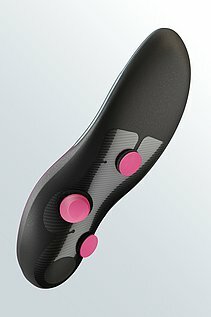 The igli carbon insole is a dynamic, highly flexible medical device that combines interactive and conservative modes of action in a unique insole system. 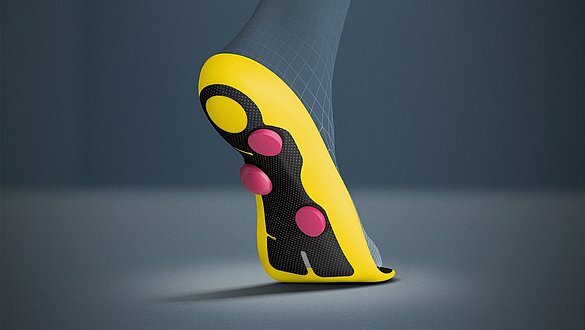 This can correct poor alignment of the foot, relieve stresses on the locomotor system and optimise biomechanics. 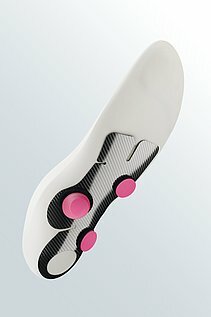 The igli range gives you access to whole new options in insole therapy. 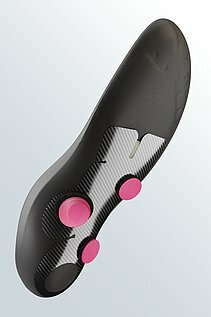 Each insole can be adjusted individually using elements (posts) that stimulate the sole of the foot and can be mounted where needed and repositioned quickly during the course of treatment. The extremely light and thin carbon bar has specific incisions that permit all biomechanical movement patterns and, at the same time, guarantee the highest possible three-dimensional stability. The posts are secured to the carbon by Velcro, so they can be positioned wherever they are needed. 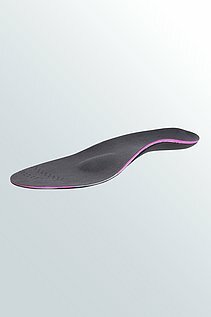 Different sizes and heights enable the insole to be set individually to the client's needs.